My owner died when I was just alittle over a year old and unfortunately none of his family or friends wanted me. 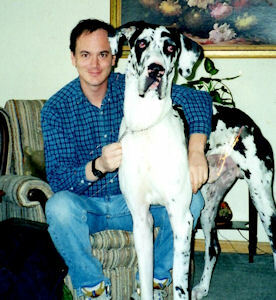 Lucky for me Harlequin Haven Great Dane Rescue agreed to take me. The rest is history as I found my forever dad!